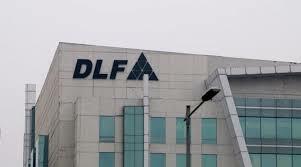 DLF announced its second joint venture with Hines. DLF Home Developers (DHDL), a wholly owned subsidiary of DLF, and Green Horizon Trustee, an affiliate of Hines, have entered into a joint venture to develop a high-end commercial project in Gurugram. The announcement was made after market hours yesterday, 19 March 2019. Muthoot Capital Services completed a securitization transaction of Rs 236.36 crore on 15 March 2019. With this transaction, the company has so far raised total funds of Rs 749.20 crore through securitization / direct assignment transactions during the FY 2018 - 19. The announcement was made after market hours yesterday, 19 March 2019. Cox & Kings owned Meininger Hotels opens its first hotel in Hungary named MEININGER Budapest Great Market Hall. The newly built property not far from the Danube promenade is located next to the famous Great Market Hall and has 184 rooms and 751 beds. The announcement was made after market hours yesterday, 19 March 2019. V-Mart Retail said that the company has opened a new store in the state of Uttar Pradesh. This takes the total number of stores to 211 stores in 168 cities across 17 states and total tally of Uttar Pradesh is 85 stores. The announcement was made after market hours yesterday, 19 March 2019. Bodal Chemicals informed that commencement and expansion of manufacturing facilities has been successfully completed and production started at UNIT VII of the company, situated at Village Dudhwada, Taluka Padra, District Vadodara, Gujarat. The announcement was made after market hours yesterday, 19 March 2019. Rushil Decor said that there was a fire accident at the company's factory situated at Plot No. 58, 59, 60, Amble industrial Estate, Village Amble, Tai. & Dis. Chikmagalur, Karnataka on Monday, 18 March 2019 at around 3:25 PM. The fire broke out in the store room located at road side of the factory and spread to some extent into the factory.  The announcement was made after market hours yesterday, 19 March 2019.